Over the past 10+ years, Microsoft has proven that it is a very powerful force in the world of video games. The original Xbox, while not the number one platform of its time, was able to develop a rabid user base, and showed all signs of a successful gaming platform, complete with its own, exclusive titles. The Xbox 360™ stepped up its game manifold, by taking its online service, Xbox Live Arcade, to an entirely new level, by providing the use of custom avatars that could be used in certain games, media streaming such as Netflix, and of course, the ability to download games, as well as playing head-to-head with other players online. Microsoft continues to innovate by providing add-on services and peripherals that greatly enhance game play. Here are the top 5 reasons why you should consider buying an Xbox 360™. One of the problems with the original Xbox was that it was the “new kid on the block”. Developers were not exactly lining up to make games for a brand new, untested product, so Microsoft had to first prove itself to the world that it was for real. Over time, the Xbox started to gain momentum, and proved that it was here to stay. One of the reasons for the Xbox’s growing popularity was due to an exclusive hit title named, Halo. At a time when first-person shooter (FPS) games were primarily played on a PC with keyboard and mouse, Halo was the first of its kind to overcome this hurdle, and opened up the gates for FPS gaming using a game pad. With the Xbox 360, game developers started abandoning Nintendo, or at best, made development on the Nintendo Wii less of a priority, and released games simultaneously for the Xbox 360 and Playstation 3. Some games, however, ended up abandoning Sony as well, and have become exclusive titles for the Xbox 360! The Xbox Live is the online component of the Xbox 360. It includes various services for the purchase and downloading of games, music, and video, as well as the ability to allow players to play games online against or with each other. For myself, it is yet another opportunity for me to download a version of the famous retro Pac-Man game. For gamers, one of the most compelling parts of this service is the ability to download “demos”. These are free, downloadable demonstrations of games, that give players a chance to try out the games before deciding to buy the entire game. Microsoft, being the company behind Windows, also has PC games branded with the “Xbox Live” logo, which allows select games to be playable online against other players on either platform. If the Xbox user interface looks familiar, it is due to the fact that it is built on the same foundations as the upcoming Microsoft Windows 8-style UI (formerly “Metro UI”). This is the user interface that use squares and rectangles, instead of the traditional “Start” menu. Aside from cosmetics, the original Xbox had the guts of a typical PC, and had been hacked to run as a standard PC. The Xbox 360, while not having the same insides as a PC any longer, still keeps it roots with Windows, in the sense that it plays well with other Windows PCs in the home network. It is able to play media content such as movies, music, and photos that are stored on other Windows-connected PCs. In the future, plans for integration with Windows 8 and Windows Phone are also in the works. The Xbox Kinect is Microsoft’s answer to the Nintendo Wii’s motion-based gaming. What makes the Kinect stand out is the fact that it does not require any kind of physical controller in-hand. Instead, the Kinect makes use of a high-resolution camera, that scans the players’ bodies, and tracks their motions to control the game on-screen. The library of games for the Kinect is still limited, however, during 2012, it has been growing at a rather rapid pace, with dancing and sports games topping its list. One of the more anticipated games, Star Wars Kinect, has been mesmerizing Star Wars fans who have always wanted to practice their Jedi skills. During the 2012 E3 video game conference in Los Angeles, CA, Microsoft introduced the Xbox SmartGlass application. Although not many specifics are available as of yet, this is an Xbox companion application that will be available on Windows 8, Windows Phone, iOS, and Android based devices. 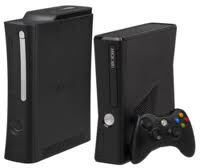 It will serve as a second screen for the Xbox 360, allowing gamers to have additional information of their games on-screen, as well as a secondary game pad or remote control. Denver Colorado native, Benjamin Baker is an avid research hound who is addicted to writing. He is married and has 3 kids. With a house full of boys, Benjamin was elated to come across www.menshideaway.com while doing research for this article. He got a ton of great ideas for improving their games room at home and is excited to start the game room renos with his sons. Xbox, Xbox 360, Xbox Live, Xbox Live Arcade, Microsoft Windows, Xbox SmartGlass & Kinect are all trademarks of Microsoft Corporation. Playstation 3 is a trademark of Sony Computer Entertainment. These and all trademarks are property of their respective trademark owners. This article was written by a Guest Author. TheGameReviews.com welcomes Guest Blogger's who like to write about their favorite video games. If you'd like to write a post for TGR, please contact us at guestauthor@thegamereviews.com . You can learn more about guest writing for blogs at myblogguest.com. Our writing requirements are listed here For more information on the individual authors, see their byline at the bottom of each Guest Author post.